Nuffield Farming Scholarships Trust (NFST) has announced applications for 2020 scholarships are now open on the Trust’s website and will close on 31 July 2019. Approximately 20 scholarships are awarded each year, providing successful Nuffield Scholars a bursary of approximately £7,000 toward the travel and research of a topic of interest in farming, food, horticulture or rural industries. Additional funding towards the attendance of the Contemporary Scholar’s Conference, the Pre-Study briefing and other events brings the total value of a Nuffield Farming Scholarship to in excess of £12,000. Nuffield Scholars come from across farming, land-based, food or agriculturally-associated industries. The findings of scholars’ studies have brought relevant and meaningful impact to UK farming that continue to resonate long after a study is completed. The money awarded to a Nuffield Scholar for their study is not just a scholarship, it’s an investment in UK agriculture and in the personal development of the scholar themselves. Barbara Bray, a 2017 Nuffield Scholar and food safety consultant, credits her Nuffield Scholarship with helping her to branch out and realise new opportunities for her business. “I was so excited to be awarded a scholarship. It took me years to decide to apply, thinking that it wasn’t for people in the food supply chain and that I couldn’t afford the time,” she said. Mike Vacher, Director of the Nuffield Farming Scholarship Trust, added that what Scholars learn as part of their study and travels is important not only to the individuals themselves, but UK food and farming as a whole industry. “The agriculture, horticulture, food and rural industries are vibrant, ever-changing and rife with opportunity. 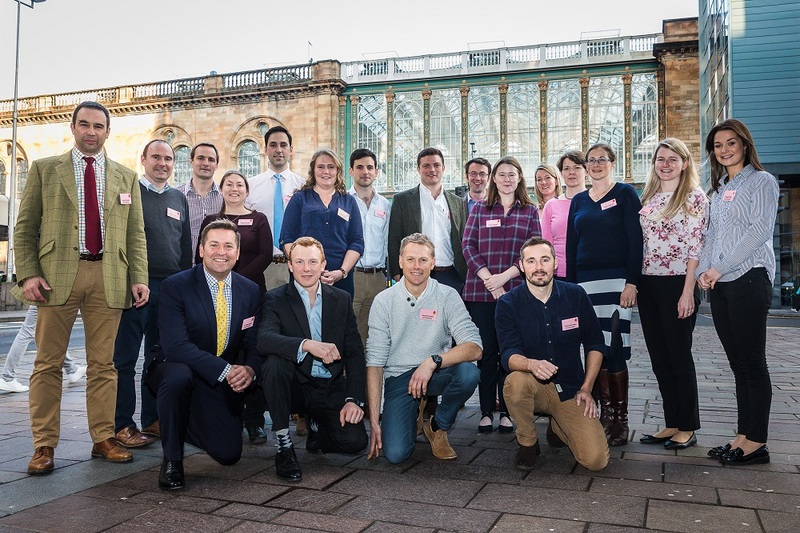 Nuffield Farming Scholarships Trust aims to find the best and brightest from across those sectors and provide them with tools and connections that allow them to take their own careers and businesses to the next level,” he said. Those interested in applying for a Nuffield Scholarship are encouraged to begin the process well ahead of the July 31st deadline. The Nuffield Farming office is also able to connect applicants with existing Nuffield Scholars who can provide tips and advice about the application process. Applicants must work within the farming, food, horticulture, rural and associated industries or are in a position to influence these industries. Applicants must be aged between 22 and 45 years (the upper age limit is 45 on 31st July in the year of application). There is no requirement for academic qualifications, but applicants will already be well-established in their career and demonstrate a passion for the industry they work in. They must also be three years post-tertiary education. Candidates must be resident in the UK and hold a UK passport or be working directly for UK agriculture.